Jojoba oil is famous for its comprehensive and nourishing properties. It strengthens and softens hair, providing it with shine and flawless look. Thanks to jojoba oil, your strands are easier to style, scalp is nurtured and properly hydrated. Jojoba oil os one of the most popular oils used for hair care. Why? It is suitable for all hair types and levels of porosity. It provides strands with a diversity of nutrients because it comprise many vitamins, minerals necessary for hair growth and maintaining beautiful appearance. Jojoba oil is willingly used in hair conditioners, hair masks and mists. However, it is known that not all shampoos are equal or worth recommending (mainly because of the high content of harmful, drying alcohols and the presence of other chemical, comedogenic substances). Appearance of such components in hair care products is contradictory to natural oils – they interfere with the beneficial effects of natural properties. Products from Eco Cosmetics are really worth recommending. It is a German company that is certified with ecocert and comprise 100% ingredients of natural origin. Hair shampoo and conditioner from Eco Cosmetics with jojoba oil and green tea are products that can be recommended for all hair types. They will nourish your strands, sooth irritations and balance the level of moisture of your scalp. The variety of vitamins contained in jojoba oil boosts hair growth and makes it healthier and stronger. Green tea deeply nourishes and gently tones scalp, improves and regulates processes taking place in the skin tissue. Thanks to a high content of jojoba oil, wisps are also protected from damages and adverse weather conditions. 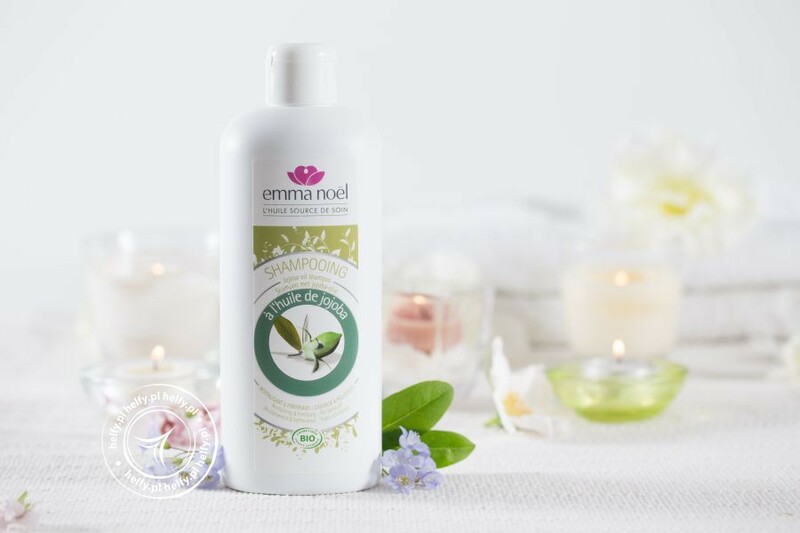 Eco Cosmetics conditioner with jojoba oil and green tea has the capacity of 125 ml; it can be used on daily basis, because it is very mild and does not irritate scalp. It is enough to keep it on hair for 2 – 3 minutes and then rinse. 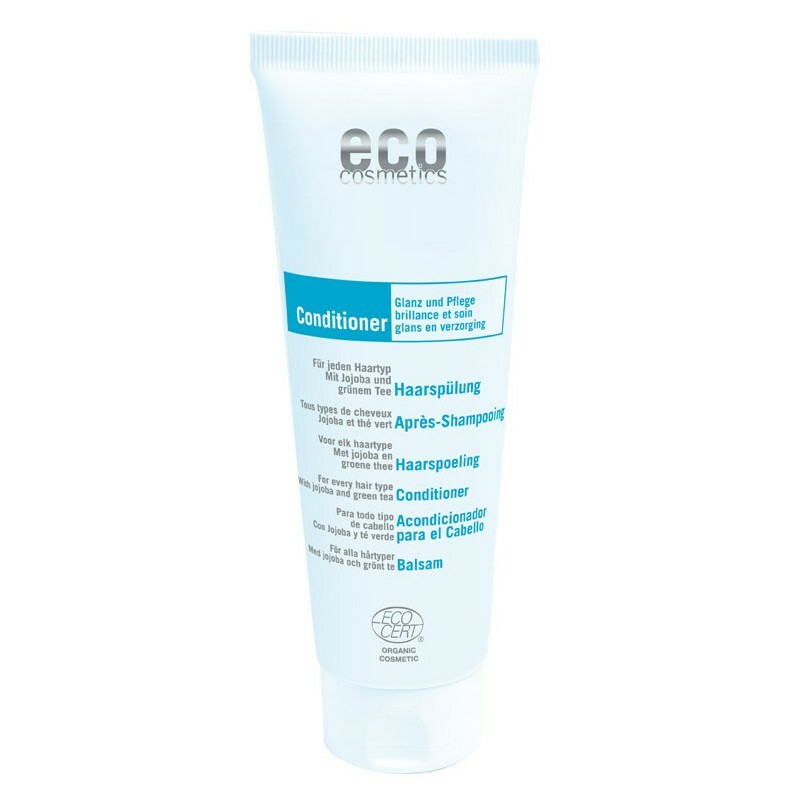 Eco Cosmetics regenerating shampoo with jojoba oil has the capacity of 200 ml. It is suitable for everyday use and for all hair types. Apart from jojoba oil, it comprise herbal extracts responsible for nurturing hair and scalp, improving blood circulation and regenerating cells (for example: myrtle extract and extract of ginko). How does jojoba oil take care of your hair?